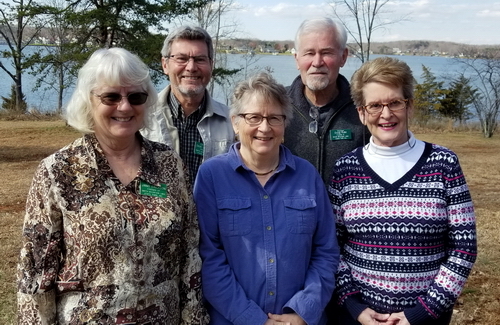 Friends of Smith Mountain Lake State Park is a group of people from the area who have an interest in promoting, protecting, and preserving the Park. They work closely with the park personnel to provide additional services, programs, and support for park activities and needs. The members meet on the third Monday of each month at 9:30 in the Discovery Center. We are a non-profit charitable organization with 501c(3) status. All membership dues and contributions are fully tax deductible. Since the establishment of the Friends 62,414 volunteer hours have been donated. In addition to the hours of work, the Friends contribute cash contributions, public relations, and program assistance such as the Winter Lecture Series and Music in the Park Program. The Friends of Smith Mountain Lake State Park represent a significant resource to the Park and the community. More information about our ongoing programs can be viewed on the "About Us" link of this site. In addition, here are some of the "Goals and Objectives" we are currently pursuing.